It’s one of my favourite lines in one of my all-time favourite movies – the darkly comedic 2008 film In Bruges. I passed up the opportunity to actually watch the film when I was in Bruges, which could be another of my top travel regrets. 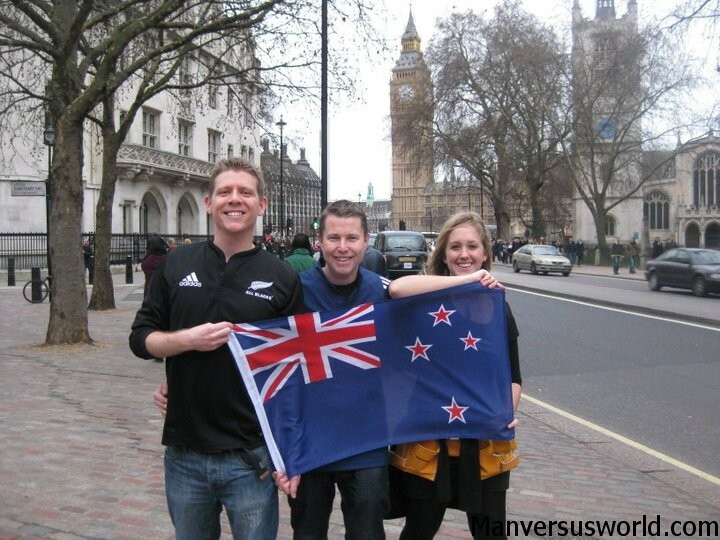 Click the poster, buy the film, and keep Man vs World travelling. To see In Bruges in Bruges – or even before I visited this awesome little town in the Flemish region of Belgium – would have given me a completely new perspective of this beautiful little town. Guilt-stricken after a job gone wrong, a hitman named Ray (a never-better Colin Farrell) and his partner Ken (the always-dependable Brendon Gleeson) await orders from their ruthless boss (scary old Ralph Fiennes) in Bruges, Belgium, which is the last place in the world that Ray wants to be. It’s not all fun and games, though, and the movie does pack an emotional punch. 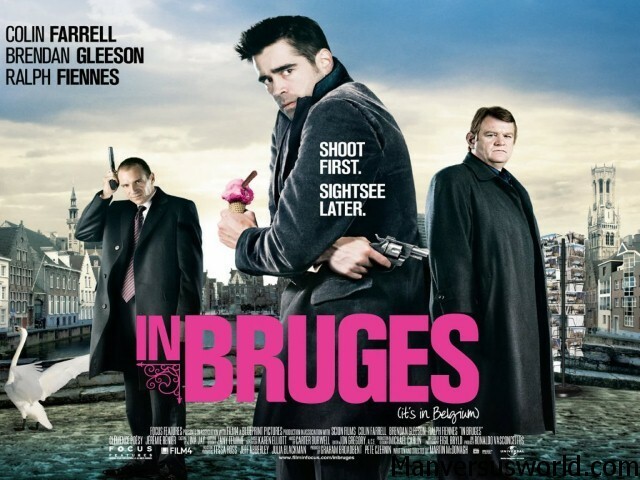 Martin McDonagh’s direction manages to capture the beauty of romantic Bruges and the dialogue is sharp and witty. That line kills me every time. Call me retarded but I actually love Bruges. I knew In Bruges was playing when I was in Bruges but, in my defence, the movie trailer isn’t very good. And neither is the poster (above). What’s with the random ice cream that Colin Farrell is holding? That doesn’t happen. The tagline, too, makes it sound like an action movie, which it definitely isn’t. Anyway, you should definitely watch In Bruges before you travel to Bruges. It’s a great little film and it’ll make you appreciate this gorgeous little town even more. But don’t just take my review for it – In Bruges currently has an 82% positive ranking from 160 reviews on Rotten Tomatoes. While you’re here, check out my 5 reasons for loving Brussels and Man vs World’s salute to the Manneken Pis.